16 inches to 36 inches. 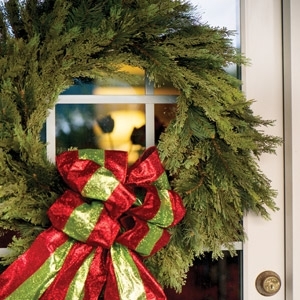 Wreaths are freshly made with carefully selected premium Fraser Fir tips. They are thick and full and are suitable for hanging indoors or outdoors.